After weeks of hiking, climbing, kayaking, and camping and putting gear through all imaginable conditions and terrain, these products have earned a place in our backpack. There are many things that you need to bring on your camping trips like food, a sleeping bag, clothes, and other gear. One important item you should also bring is a camping lantern. When it comes to having available lighting on camping trips, most people will use a flashlight. While this is something that is necessary to bring along, for certain things, it can be inconvenient since for the most part, you have to hold them. Let’s say after the camping fire has died out and you want to spend some time inside your tent just to share some stories with your friend. You will need something that will provide you with light. This is wear a camping lantern can be useful. Since you don’t have to hold it, it’s a lot more convenient. During the night, if you wanted to go to the bathroom, having a lantern will be a lot more convenient as well since the light spreads in all directions, not just in a straight line like flashlights do. They are also very durable as well. 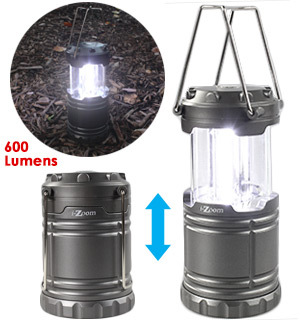 In terms of buying these lanterns, you can find them at any store that sells camping gear as well as online. You will have different choices of camping lanterns such as battery operated and oil lanterns. Each of these has advantages and disadvantages but in general, you will be better off with a battery operated one. The cost of these lanterns can vary depending on the size, the brightness level, and the type but you can expect to pay around $30 or so for a decent one. So the next time you go out on a camping trip, make sure you pack a lantern as well. There are many reasons to get a good flashlight when camping and you don’t have to worry that much about not being able to find a good one. 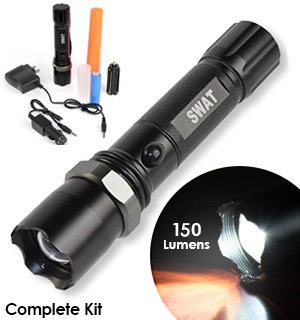 Nowadays there are many standards that flashlights need to comply with in order to get on the shelves. There are some indicators that you need to watch when getting a flashlight. The light output, which measures the intensity of light, may be shown for multiple light settings. Beam intensity, the distance also has a say when it comes to the brightness of the light. You’ll need to know how long your flashlight is going to work. The running time of your camping flashlight (or any other type of flashlight just as well) is something to consider as you don’t want the batteries to run out on you, or to change the batteries every day either. Impact resistance is also measured in meters and it tells you how resistant your flashlight is after a few drops. Obviously enough, a flashlight is not going to work after you hit it with a strong object or after you run over it. Having a water resistant flashlight when going camping is a great thing and you should check the IPX system on your flashlight. An IPX4 mark gives you a flashlight that is splash resistant from all angles, whereas an IPX7 means you can immerse the flashlight up to 30 minutes at a 1 meter depth. You can keep a flashlight rated with IPX8 submerged for up to 4 hours. Those who have been caught in hazardous weather know that in an emergency, a weather radio can be a lifesaver. 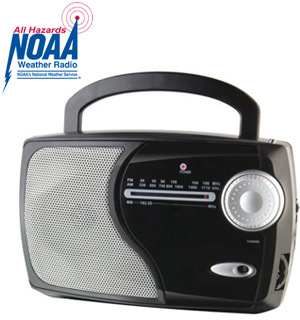 These radios feature special weather warnings and forecasts that can’t be heard on AM/FM models. They typically feature hand-cranks and solar panels for recharging; alarms to alert rescue searchers; flashlights and even cell-phone chargers. Consumer Reports has checked out a few models including one from the American Red Cross. Walking Sticks are a MUST-Have! 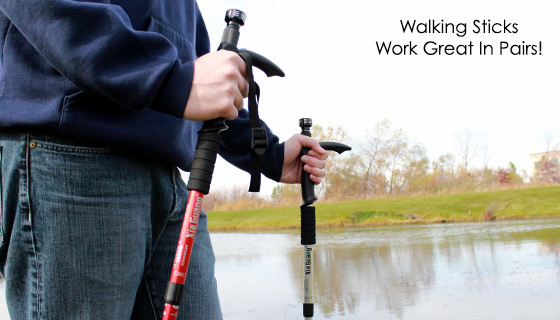 There are many different types of walking poles, each of which serve their own particular purpose. You should always be aware as to the kind of terrain your trek will consist of, ensuring that you are equipped with the right type of gear for the safest and most enjoyable journey possible. Telescopic poles have a length that can be adjusted, making them ideal for various environments. This adjustability aids in supporting your weight, keeping your back straight as you trek. In order to achieve maximum efficiency, telescopic poles need to be adjusted continually when dealing with varied steepness in terrain. For instance, uphill walking calls for a shorter pole length, while a longer pole length should be used while walking downhill.